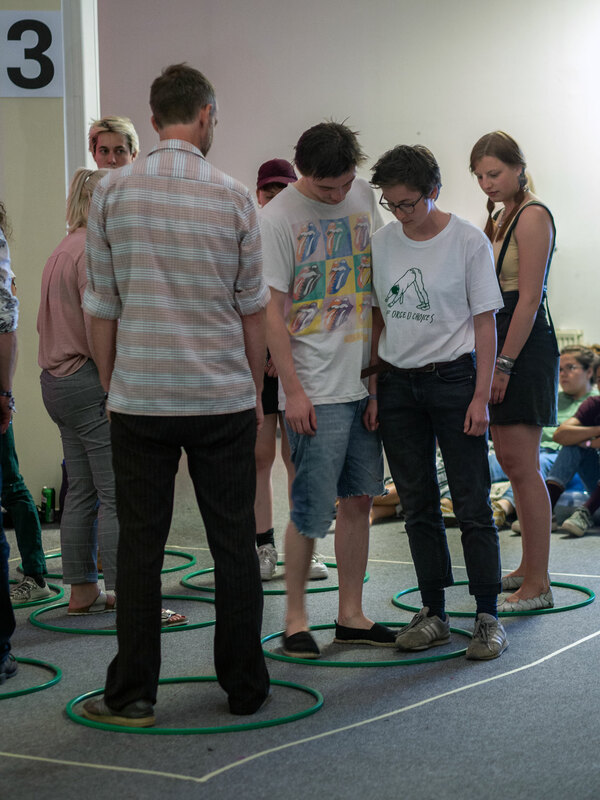 Reading Circles was a performative action led by 9 participants on socio-spatial perception as well as physical and personal borders. 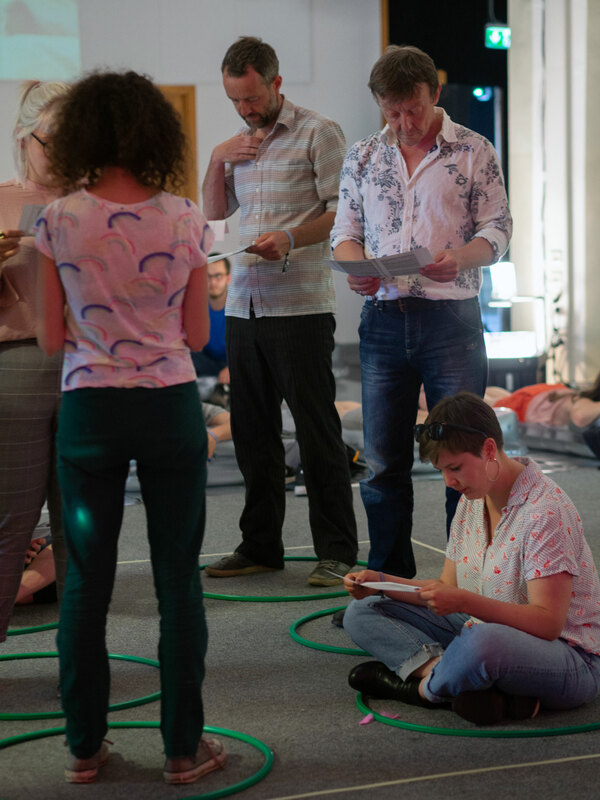 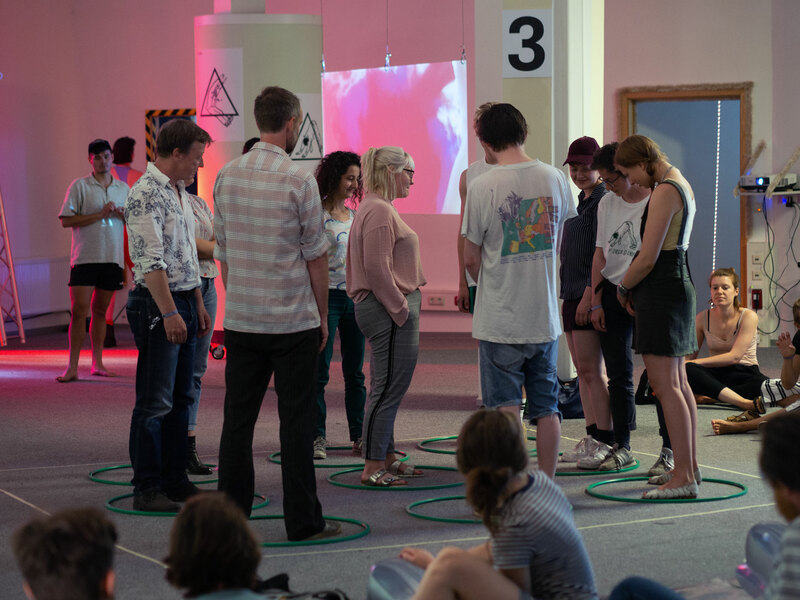 Based on the reading of „borders“ (1903) by the urban sociologist Georg Simmel we engage with the audience in a playful way to stimulate more awareness about the continuous re-production of social and spatial borders and the importance of its political consequences. 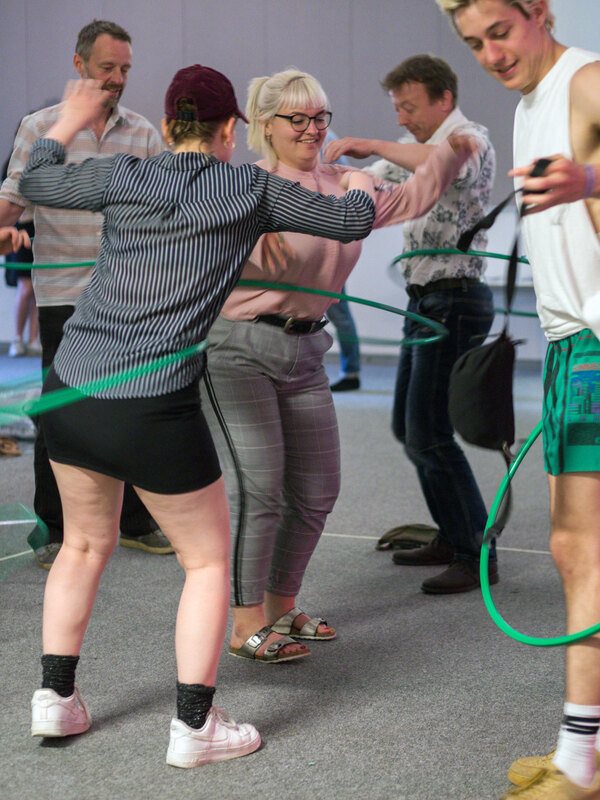 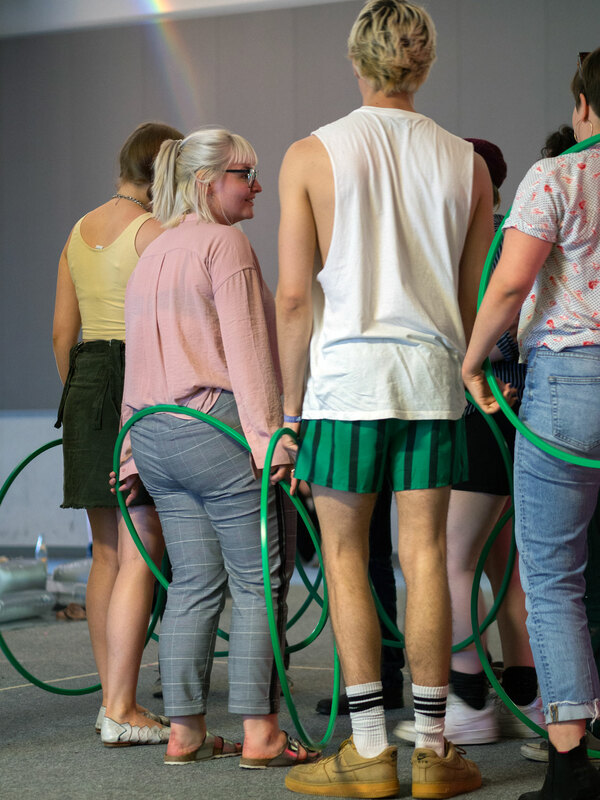 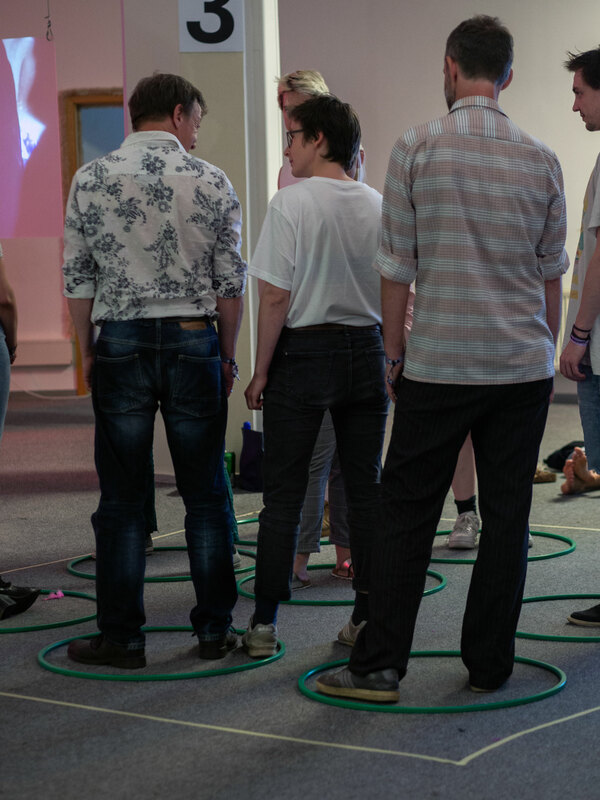 All what was needed were 9 hula hoop rings, a tape and a crowd.